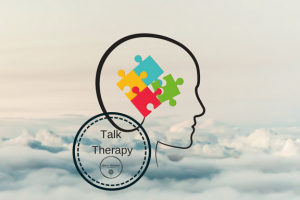 I utilise an ethical mix of modalities such as Free Association, Gestalt Psychotherapy, Regression Therapy, Enhanced CBT and Pin Point Analysis to bring about the best results for clients. This allows brief solution focused therapy to be done in accordance with evidence based best practice. I use an integrated approach so my clients can benefit from the vast array of techniques I am qualified in. What is Hypno-psychotherapy / Hypno-analysis? Hypno-analysis or hypno-psychotherapy is defined as a core modality of psychotherapy in which hypnotic language and processes are used as an addition to evidence-based psychotherapies. The use of hypnosis in combination with psychotherapy normally results in greater treatment effectiveness. Hypno-analysis finds the root cause of the problem or symptom and removes it, thus giving lasting release to the client. This doctrine is called “Cause and Effect”. Analysis reveals the cause which can then be resolved in the mind, consequently relieving the symptoms. Emotional problems respond particularly well to Hypno-psychotherapy and analysis. The objective of analysis is to bring you to a moment of liberating enlightenment. You can be fairly confident that a release will be obtained, usually within eight to twelve sessions of hypno-analysis. In these cases we are talking about a complete and lasting release by finding and removing originating causes. The use of conscious hypnosis dramatically speeds up hypno-analytical psychotherapy and similar results can be achieved in a few weeks as would be expected from a more ‘conventional’ 1,000 hours of psychoanalysis. Through the trance state we can communicate with the deeper feeling mind, the subconscious. The sub-conscious is the store house for our memories, emotions and behaviours. By accessing this aspect of ourselves we are able to find the root cause and restore equilibrium. What can Hypno-psychotherapy help with? Hypno-psychotherapy can be used to treat a large array of issues including mood disorders, difficult thoughts and feelings, habit disorders, social disorders, trauma, obesity, phobias, anxieties and depression as well as panic attacks and serious stress disorders such as PTSD. It finds wide application also in chronic pain management and pre/post-operative surgical procedures, and also in support of stress-related psychosomatic disorders such as IBS, skin disorders and headaches/migraines. As a Clinical Psychotherapist who utilises Evidence-based Hypnopsychotherapy interventions, I find that it increases the effectiveness of clinical practice far beyond the returns that are possible by employing hypnotherapy or psychotherapy in the traditional mode.